In the relentless pursuit of learning ways to improve the quality of customer service in the www.vgystore.com and in our flagship store in Haji Lane, where books do not suffice, I decided to spend some time with one of the finalists in the Customer Service (Retail) category of the 2014 Singapore Experience Awards. 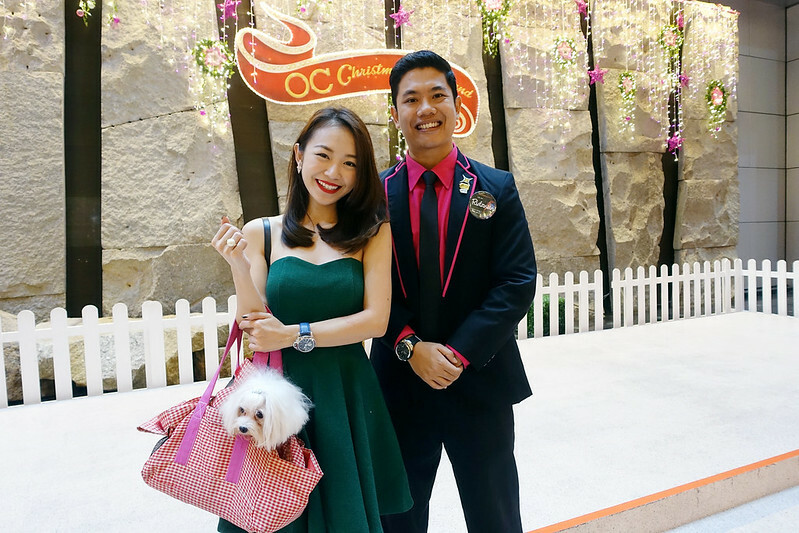 This finalist, Muhammad Ridzwan Bin Ramly, creates great experiences for shoppers at Orchard Central by being engaging and goes as far as to build relationships with the shoppers! Simply put, experience creation and delivery is more often than not, planned, communicated and delivered by the service staff to customers. By investing in upgrading of the capabilities of the service staff and awarding deserving recipients, it serves to increase the quality of the tourism industry as a whole with healthy competition. "Best Travel and Learning Experience", you can read the post here. 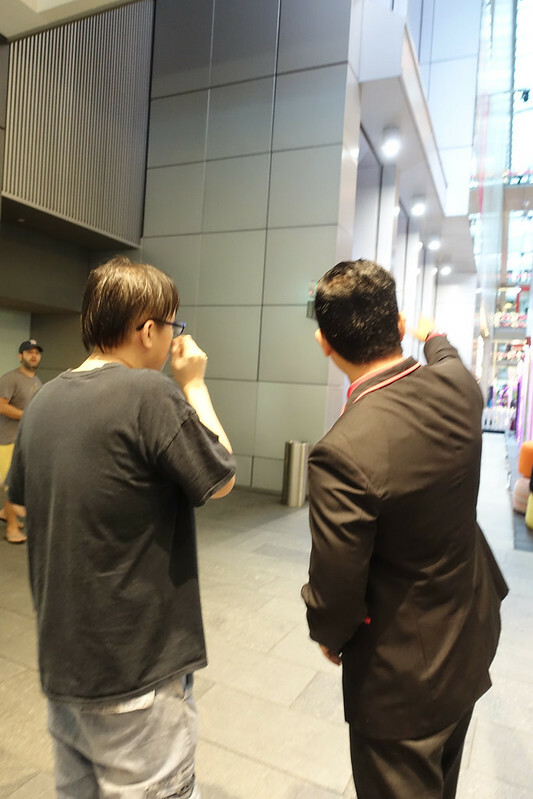 I met Ridzwan from Orchard Central to understand more about his day to day activities, quality of service in Orchard Central, and my shopping experience. 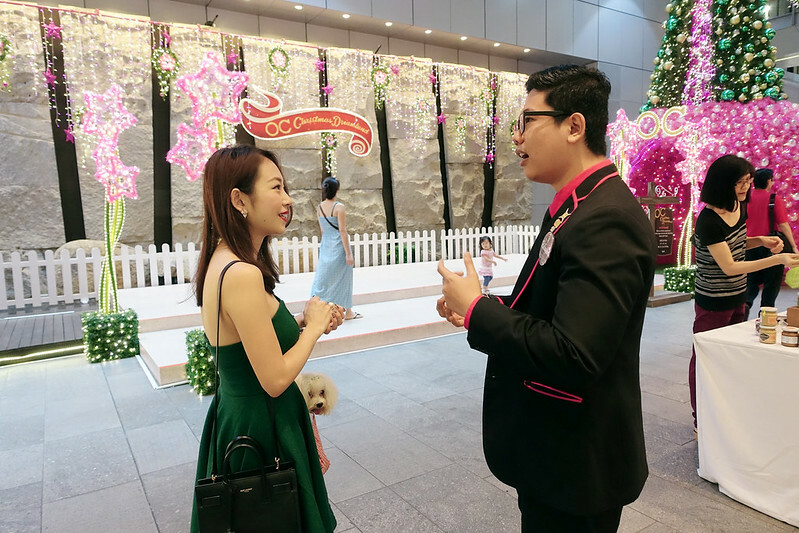 Being in his work environment at Orchard Central where the mall is very young is a plus point because it gives so much room for growth as compared to established malls. 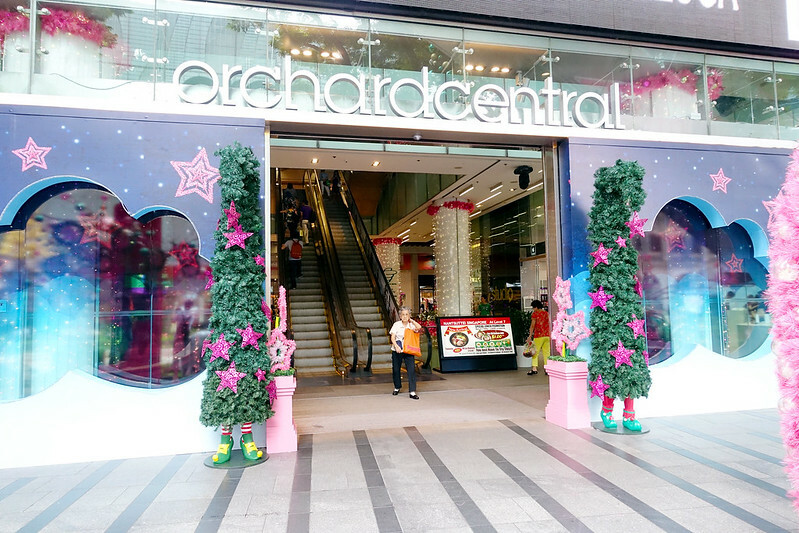 Orchard Central is a place I always frequent because it is just next to 313 Somerset where John works. 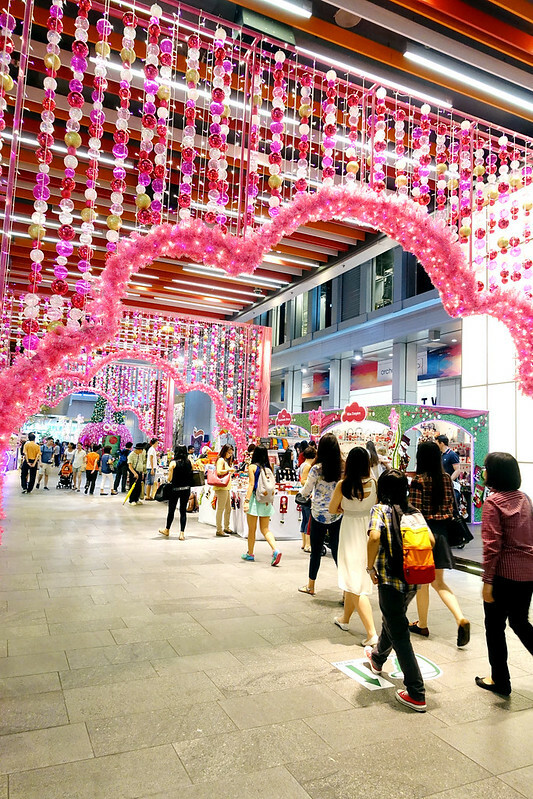 In fact, of all the shopping malls in Singapore, I frequent 313 Somerset, Orchard Gateway and Orchard Central the most because I am able to do most of my shopping here while waiting to pick John up from work! 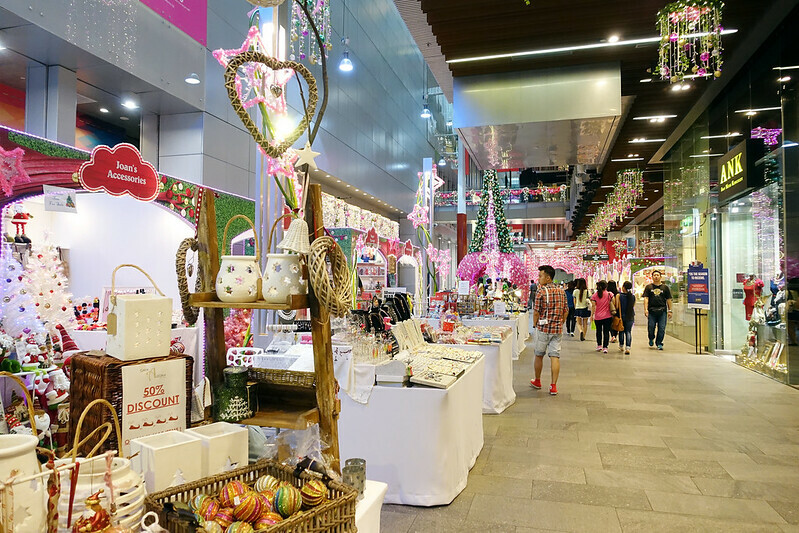 Once a week, I will make it a point to visit the long row of flea market stalls located at the first level of Orchard Central where I love taking my time to enjoy admiring the knick knacks sold at different stalls. 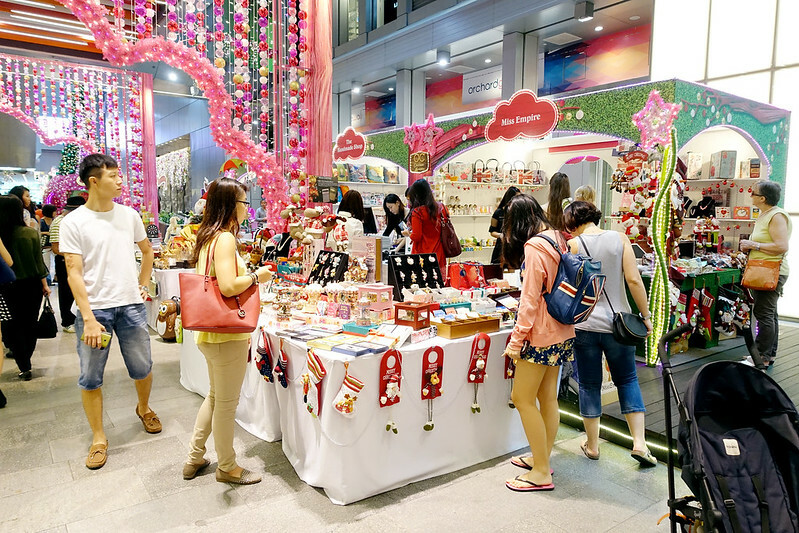 The stalls usually feature aspiring shop owners hoping to bring their passion forth in their crafts/hobbies and let more people know about them! 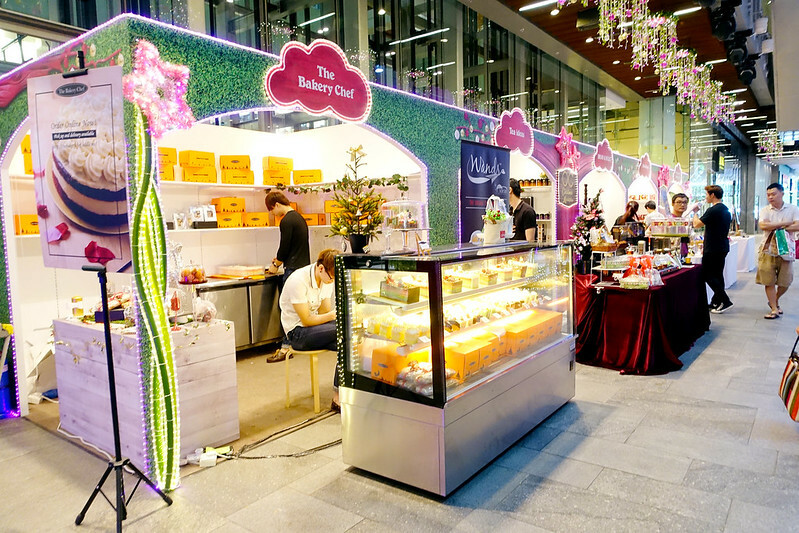 Occasionally, there are gems among these stalls with delicious confectionary all baked by local growing entrepreneurs! 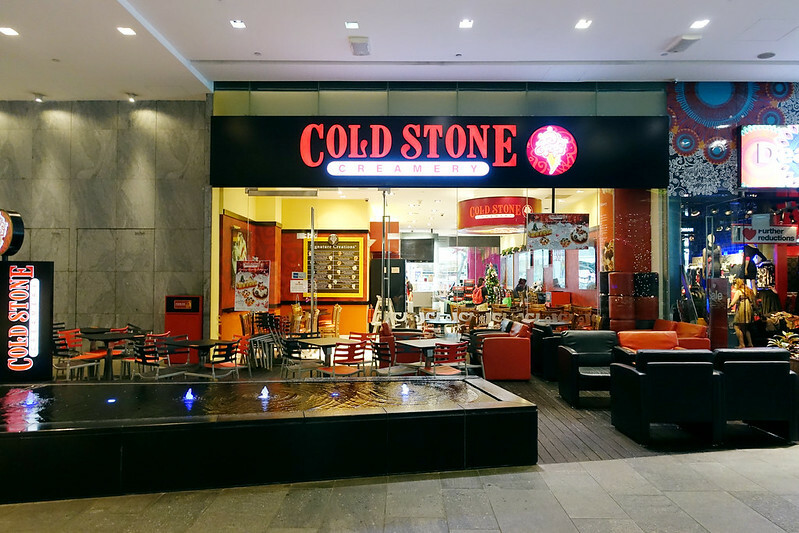 A check with Ridzwan revealed that the shop in Orchard Central with the highest amount of traffic is Cold Stone Creamery. Have you tried it before? It is always so hard for me to find a seat there during the late noon! The concierge at Orchard Central is located at the very end of building. 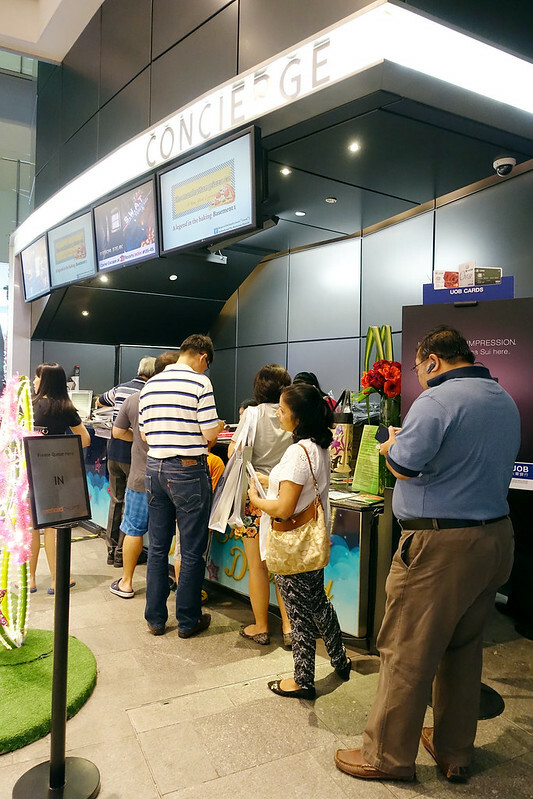 The counter was overwhelmed with customers redeeming gifts and making enquiries during the holiday season and a thought struck me. I have always imagined concierge staff to have a lot of free time on their hands - where they can hide behind the counter and simply answer general enquiries to where so and so shop is located. I thought the hardest part of their job is to remember exactly where all the shops are. This is Ridzwan, and I was extremely interested to meet him as he is only in his early 20s but has been in this industry for 5 years now! He feels that there should be more young people coming into this dynamic industry as there is so much to learn and the satisfaction derived from delivering personalized service and building relationships with new people is priceless. In the midst of our conversation, Ridzwan excused himself when he saw a mall shopper who looked lost and offered assistance to him. Come to think about it, how often does that happen? Not even in big commercialized malls has a concierge staff walked up to me and asked if I needed any help. 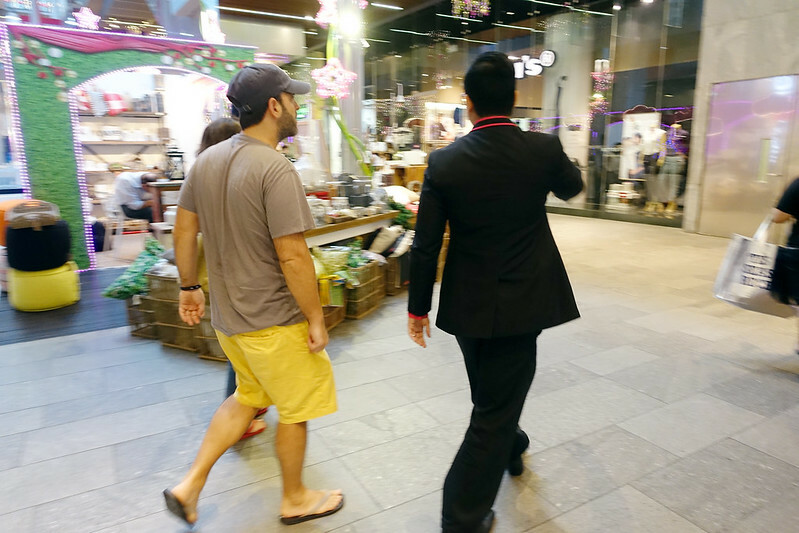 Being a frequent mall shopper, I have never seen concierge staff making rounds in other malls. According to Ridzwan, the role of a concierge staff goes further than what I had imagined. This includes patrolling the entire mall and keeping a lookout for customers who may be lost and providing immediate assistance to them. Right now, you may be having the same thoughts as I do - "If the onus and responsibility to approach customers and provide assistance lies on the concierge staff, then there may be staff who may not fulfil this aspect of their job satisfactorily because there is no supervision". And this was the same question posed to Ridzwan as I am an employer facing these issues as well. Ridzwan gave a very inspiring reply. He mentioned that if the employee is passionate in providing good customer service, then "going the extra mile" does not make sense because a person with a burning passion in his job will carry out his roles responsibly and in his case, making sure every customer walks off with a smile or even better, to nurture friendships with customers within the mall. In his case, he has a passion in the customer service line and could be considered a veteran in the industry. When I threw him a question regarding challenges in his job, I have to admit I felt sad for him when he mentioned one encounter where he faced racism on the job. As the Singapore government works to deepen the engagement with Singaporeans like building up our tourism industry with star attractions and enhancing the skills of service staff in related industries, we Singaporeans have to feel proud of our attractions and acknowledge the quality of service that deserving employees provide far and beyond the challenges they face daily in their work. Fortunately, Ridzwan formed a personal friendship with this customer who now drops by the mall to visit him and share his overseas expeditions. How enlivening to hear that! Another challenge Ridzwan faces is a language barrier, which he tries to overcome by being patient and simply being a listener. He mentioned that there are often common questions posed by shoppers so he tries to understand and identify the issues faced by the shopper by being more sensitive to their body language and hand signs. 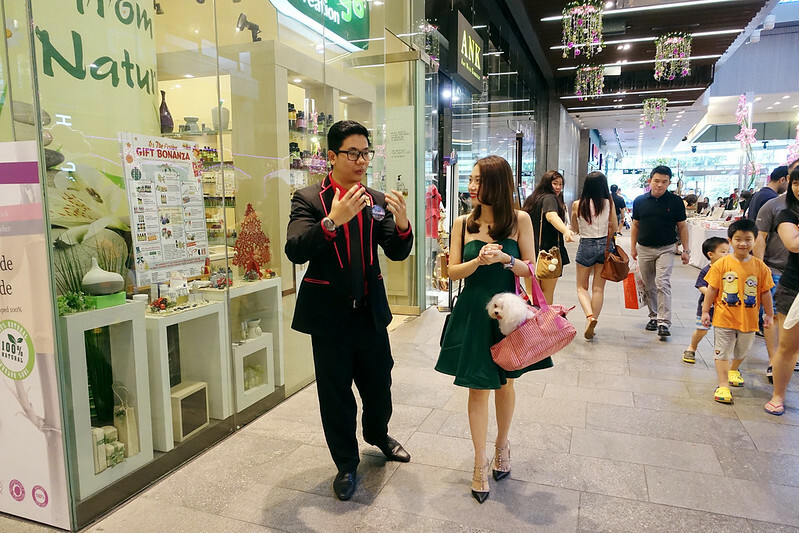 Most of the time, he is able to help out the shopper and break past the language barrier by spending more time with each shopper, to better understand what kind of help the shopper might need. I always watch the micro expressions on people's faces while they speak and all I can see in Ridzwan is the glint in his eyes as he spoke animatedly about his job and made me understand why he was willing to work for a new mall as compared to an established one. From him, I learnt that the role of a concierge is many things and that includes being a listener, a talker, a problem solver, a quick thinker, a skilled multi-tasker and on crazily busy occasions; a miracle maker haha. I also learnt that the hallmark of a concierge staff is one with passion and thirst of knowledge. Then, service excellence will come in naturally with a genuine desire to look after the needs of customers in the mall. Service excellence can be achieved when it is engrained into the core values of the company and most importantly in every staff in the company, from the front-line to the managerial level. The greatest takeaway from my meeting with Ridzwan is that building relationships and connecting customers/shoppers on an emotional level is the key to establishing lasting relationship with the brand. 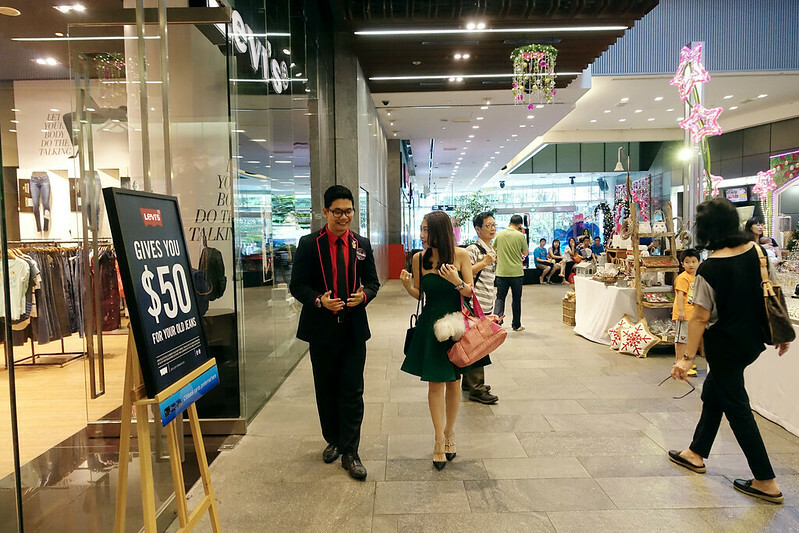 Shoppers specially pop by the mall to look for Ridzwan and share with him their exciting holiday experiences. As an employer hearing that, I felt Ridzwan has exceeded my expectations of a concierge staff. At the end of the day, Ridzwan, derives his satisfaction from seeing smiles from customers' faces be it when they have their enquiries answered or problems solved and each smile he received is his driving force to service excellence. I see similarity in the level of commitment and passion Ridzwan and the staff at S.E.A. Aquarium which I wrote about previously. All of them have so much passion in their work and these are the people who contributes to bettering the quality of customer service in Singapore - and these are folks who will help to place Singapore on the map as a tourist destination because of the experience they created and the value for each tourist.